Karen’s philanthropic involvement spans almost a decade and half and includes volunteer service as well as positions on multiple boards of directors. A long-time member as well as a past President of The Atlanta Woman’s club, Karen held several other positions in the Club, including Parliamentarian, Corresponding Secretary, and Home Life Department Chair. 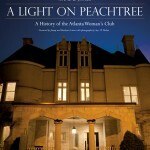 During her tenure as Project Director and Chair of the Club’s History Book Committee, Karen provided oversight and coordinated creative and research efforts culminating in publishing of the Club’s history, A Light on Peachtree: A History of the Atlanta Woman’s Club by Anne B. Jones, Ph.D. with photographs by Aryc W. Mosher (Mercer University Press, 2012). Karen currently serves on The Atlanta Woman’s Club Board of Trustees and its Executive Board, as well as serving on the Board of Trustees for Tallulah Falls School, an institution actively supported by the Club. A talented pianist, Karen has frequently shared her gift by playing for evening services at her church, accompanying the church’s children’s choir, and accompanying various Atlanta Woman’s Club and Georgia Federation of Women’s Clubs events. 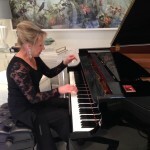 She also serves on The Atlanta Steinway Society’s Board of Directors as an Advisory Member.